The Centers for Medicare & Medicaid Services (CMS) and the Department of the Treasury issued new guidance on Nov. 29, allowing states to move their insurance markets away from what they called the “one-size-fits-all” rules and regulations imposed by the Affordable Care Act (ACA, or Obamacare) and increase choice and competition within their insurance markets. The guidance grants states more flexibility to design alternatives to the ACA and to give Americans more options to get health coverage that better meets their needs. Under this new policy, states will be able to pursue waivers to improve their insurance markets, increase affordable coverage options for their residents, and ensure that people with pre-existing conditions are protected. These waivers are called State Relief and Empowerment Waivers to reflect this new direction and opportunity, according to a press release announcing the guidance. 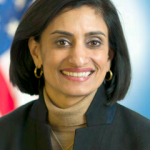 “Seeing the problems the ACA created and seeing the lack of federal action to address these problems should be proof enough for why it was such a mistake to federalize so much of health care policy under the ACA,” CMS Administrator Seema Verma explained in announcing the new direction. The fund could be paid for through the tax credits in Obamacare, through a small business health tax credit, or by collecting individual or employer contributions.